By now you have surely heard that Camel is this season’s must have. 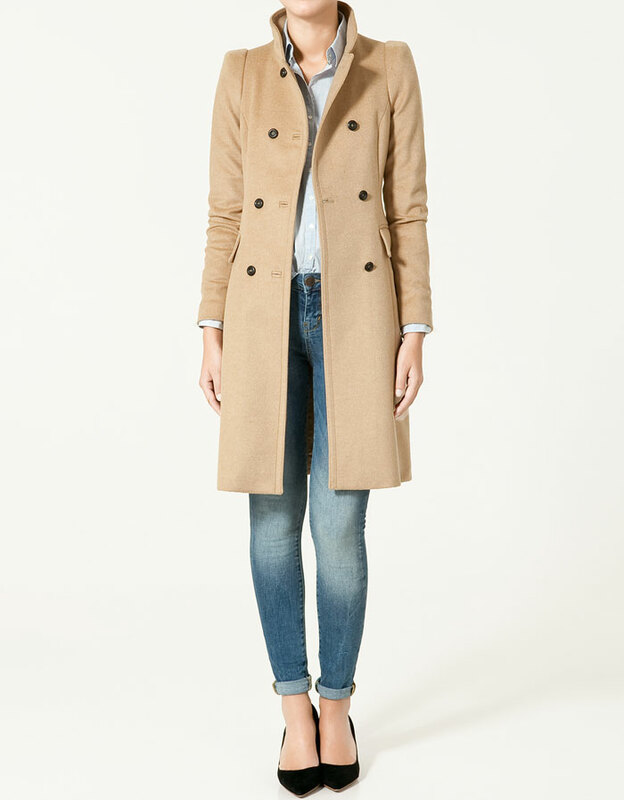 If you buy anything, they say, buy the Camel coat. I don’t like being told what to do. 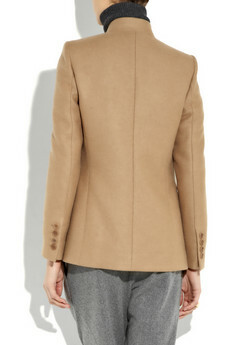 However, I do love a beautiful camel coat, particularly terribly affordable one from Zara ($180). Love Zara, also I should credit MMGF with this one.. She was traveling in South America, and e-mailed me to see if I would pick it up for her, as they didn’t have her size. I first saw this Stella McCartney blazer in the middle of August. When it finally became available, it sold out in 3 hours. I mean, look at the back, I died. It’s probably better that it did sell out, it is $2000 after all. 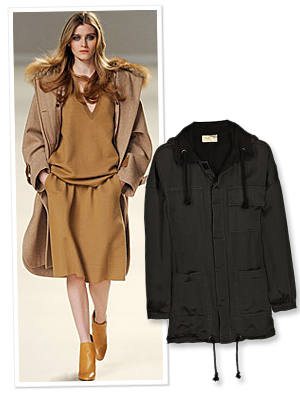 I haven’t advised my clients to rush to get this season’s camel coat, unless they need it. If it doesn’t work with what you already have, or if you already have a fabulous black coat, you don’t really need to have it, do you.. The Parka.. I feel like the parka was the season’s must have only a few years ago. 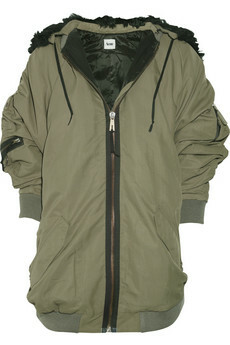 Having said that though, I do like this season’s parkas. The hood is especially useful in Vancouver. Naturally Zara has a cute and cheap version. Then there is Chloé. A camel parka, very clever. I should just tell you the truth, I plan on having both. Only because I love them both, not because anyone told me that I must have them. Images provided by NY Magazine, Net a Porter, and Zara.